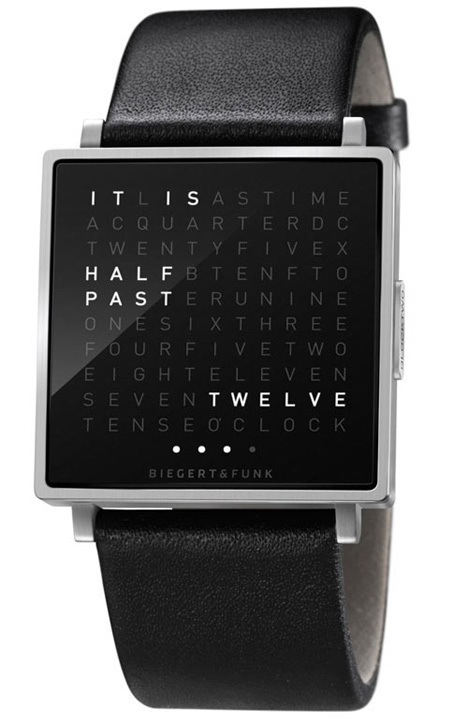 Designers Biegert & Funk have given your classic hand-dial watch a personal assistant. 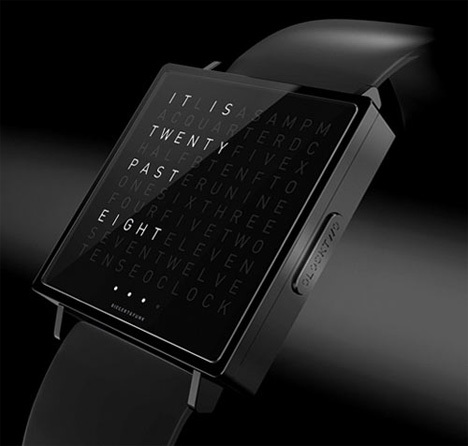 The QLOCKTWO W watch gives you the time in descriptive phrases like “It is Half Past Seven.” This worded timepiece has re-written how we watch time. It’s a smaller, portable re-make of the Qlocktwo wall clock that maintains the unique word-based time telling method. The square face features no numbers, but 110 letters. When you press a button on the side, the appropriate letters light up to spell the time in English, German or French. The Qlocktwo W can even display the date or the seconds that are slowly ticking by. 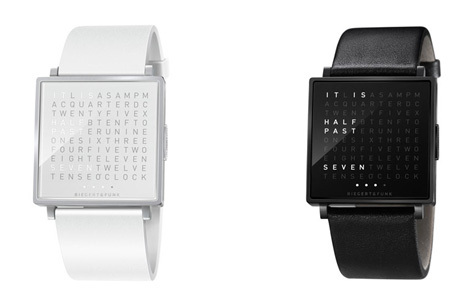 It’s a rather more sophisticated and modern way to tell time than the typical number-loaded watch face.